The more appealing and comfortable your workout clothes are, the better you feel about working out. Gentlemen, this goes for you too! It’s easy to look and feel stylish while getting your workout on! This eye-catching sports bra from Fabletics is colorful and comfy, adding a perfect pop of color to brighten up your workout. 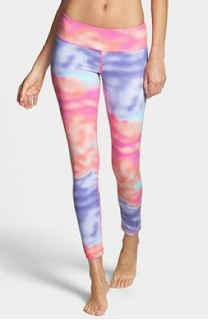 Your legs will make a statement with these pastel galaxy print leggings! Who says bro tanks are out of style? 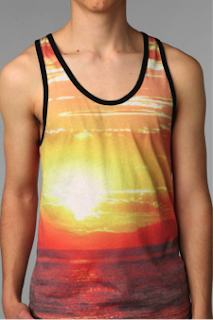 Shine on in this stylish sunset tank top! Whoever said guys couldn’t rock pastel pants was sadly mistaken. These running tights are great for circulation and will speed you through that run! So treat yourself to some hot new workout wear for Spring!